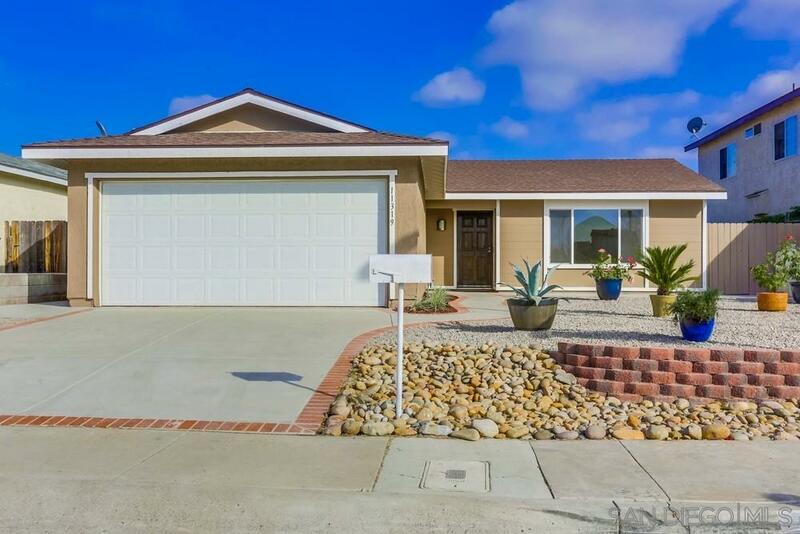 Updated 2 bed/ 2 bath home in the heart of Mira Mesa. Features include new carpet, new paint inside and outside, new driveway and sidewalks around home, large back patio with gazebo and fruit trees, granite tile counter tops, stainless steel appliances, new roof and vinyl windows. Home has a family room addition with large brick fireplace. Low maintenance landscaping. Close to schools, parks and shopping and restaurants, and a quick commute to Sorrento Valley! Come and see all this home has to offer!